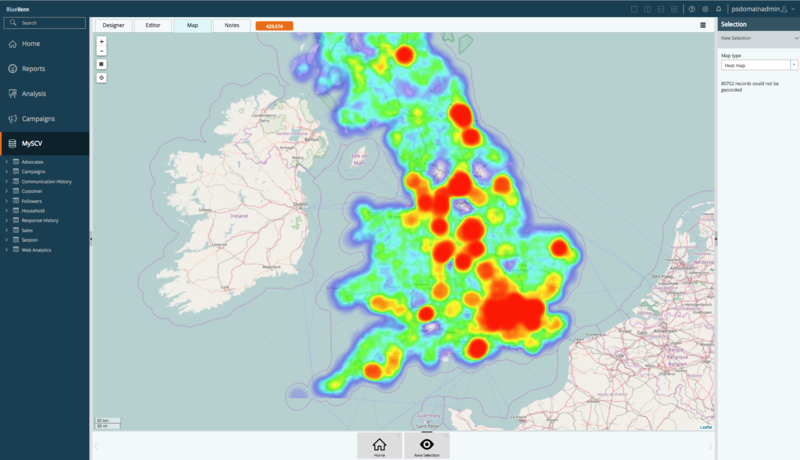 Blue Insight is a unique, new customer insight and data visualisation software tool giving marketers visibility of the entire UK business and consumer market to ensure data sits at the forefront of all your future business and marketing decisions. With 24/7 access to our UK Business and Consumer Universe you can analyse limitless, accurate data for assessing market share, reviewing new markets, analysing your market penetration and much, much more. Don’t base your business decisions on a hunch! With Blue Insight you get 24/7 access to the whole UK market of businesses, contacts and consumers including geographical and economic data. Aggregated from 25 sources including 53 million consumers, 4.5 million workplaces and 8.3 million unique contacts, you’ll have access to thousands of variables of data about consumers or businesses to help make informed decisions and to answer potentially business-changing questions with confidence. Typical business intelligence use cases for Blue Insight include competitor analysis, territory planning, market size, market share, propensity analysis and campaign planning. Blue Insight takes the guesswork out of your business and marketing planning and puts data at the forefront of all the important business decisions. When your team is ready to go with Blue Insight we’ll have all your customer data ready and waiting inside the tool and matched against the Blue Sheep Business and Consumer Universe. This enables you and your team to create look-a-like matches with potential future customers, the ability to work out your market share and to discover the potential for acquiring new customers now and in the future. 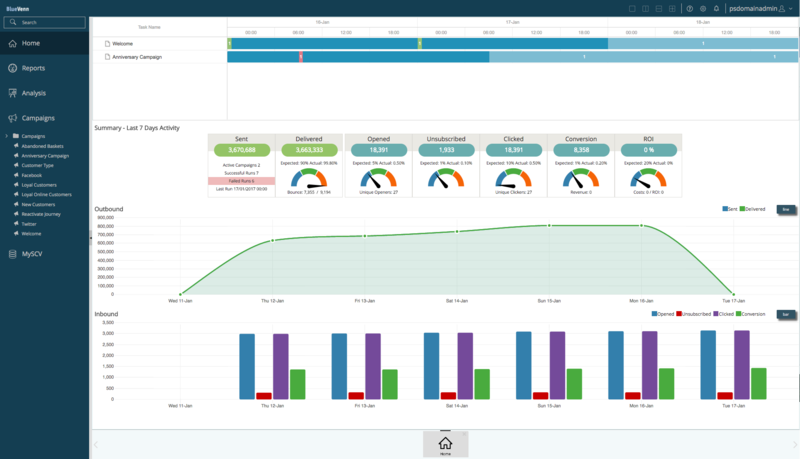 By loading your customers into Blue Insight it provides a visual interface for everyday marketers to manipulate data and provides easy-to-use drag & drop tools to dive deep into customer analytics. 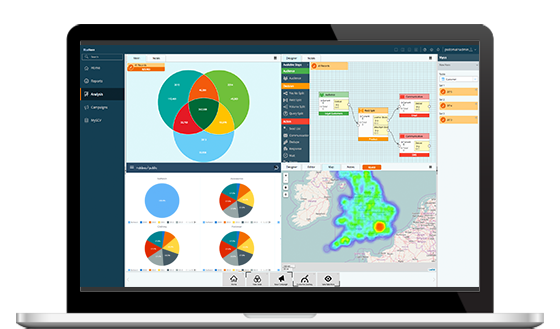 No more v-lookups, SQL queries or requests to IT – just one visual tool to slice and dice all your data to get at critical insights and improve the efficiency and effectiveness of your marketing campaigns and business decisions. Truly targeted marketing can only come from accurate and trustworthy data. When we load your customers into Blue Insight, we provide a full Data Quality Audit to ensure that the data is clean and accurate. We’ll also provide enhancements and appends to improve the richness of the data, which in turn provides extra untapped insight that can be used for segmentation. 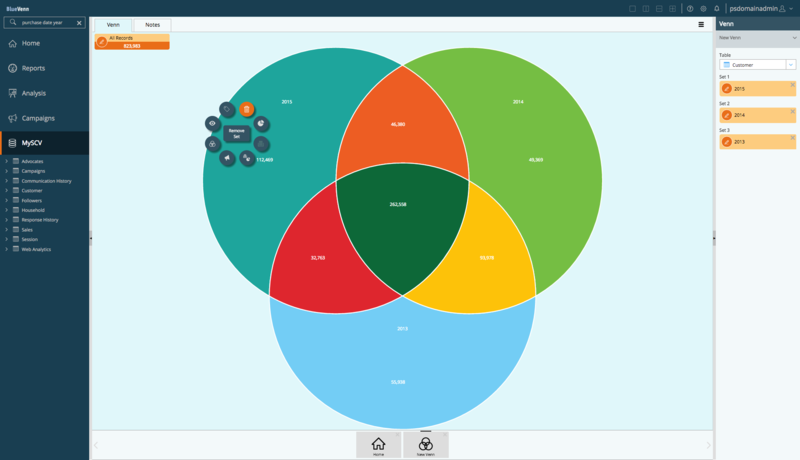 Marketers can then use Blue Insight to build customer and prospect segments within the tool, and target them individually with specific marketing campaigns. 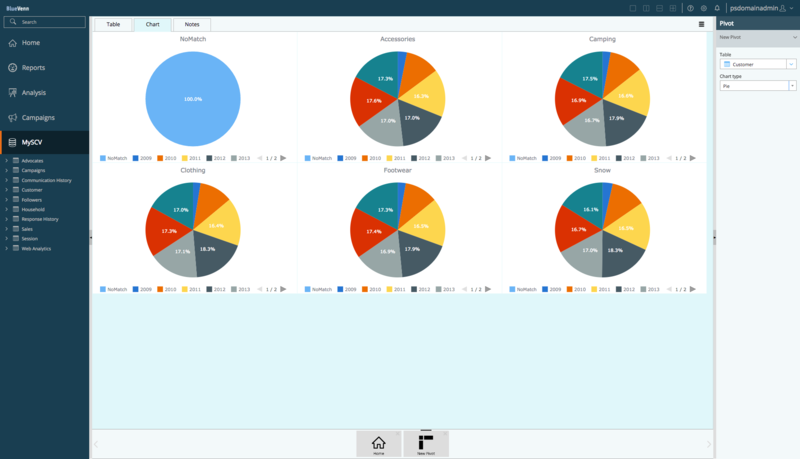 Blue Insight is built around the ability to work effortlessly with your data through charts, graphs, maps and reports rather than columns and rows in spreadsheets. As a result, marketers can become more efficient and remove the need for constant preparation of data. Plus with optional integrations to email platforms, CRM, eCommerce and other marketing tools, Blue Insight can become the central hub for all your data making all the platforms work more effectively. 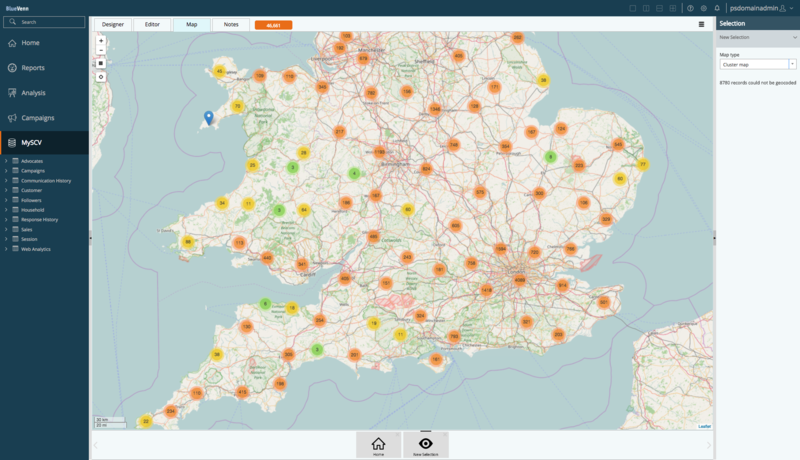 Built for speed, this visual approach to data is called ‘Train-of-Thought’ analytics whereby one question of your data invariably leads to another, and another, and another… With Blue Insight you can ask limitless questions of the data, whatever the data size and get to the real answers you need. Then take action! The Blue Insight tool uses technology from the world-leading BlueVenn Customer Data Platform to provide you with many benefits, not least the ability to connect to infinite data sources and output to infinite marketing channels. This is the very nature of a customer data platform. As such an enhanced edition of Blue Insight can play nicely with the marketing technologies you’re already using and ensure a seamless experience that places better data at the forefront of all your marketing efforts. 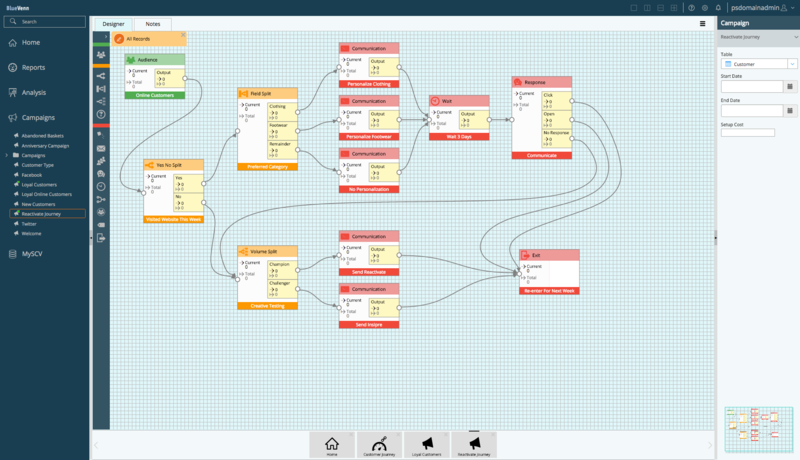 Don’t forget that Blue Insight will replace the need to deal with list brokers and data providers. The Blue Sheep Business and Consumer Universe aggregates data from 25 data providers and sources in the UK in one place giving you a complete view 24 hours a day, every day. All the data within Blue Insight is marketable, verified and checked by our partners before it comes into Blue Insight. The data is refreshed fully every month and once you’ve made a selection you can click to fire it off to Blue Sheep for purchase – and then kick off your hyper-targeted marketing campaigns. How Can Blue Insight Help?